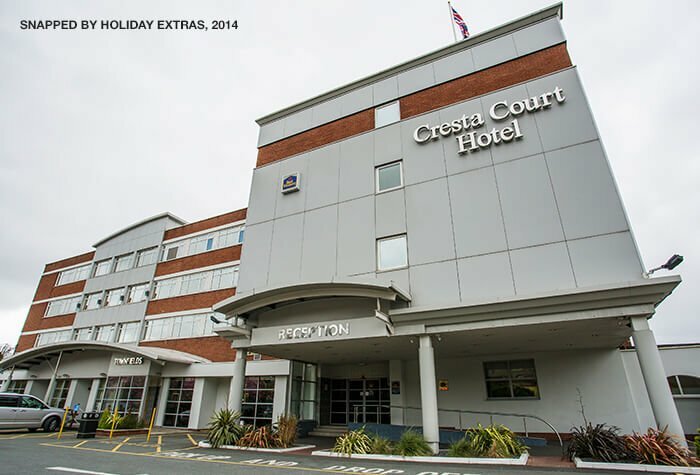 Affordable luxury - that's how we'd describe the fantastic Cresta Court hotel, a firm favourite of all Manchester airport hotels. 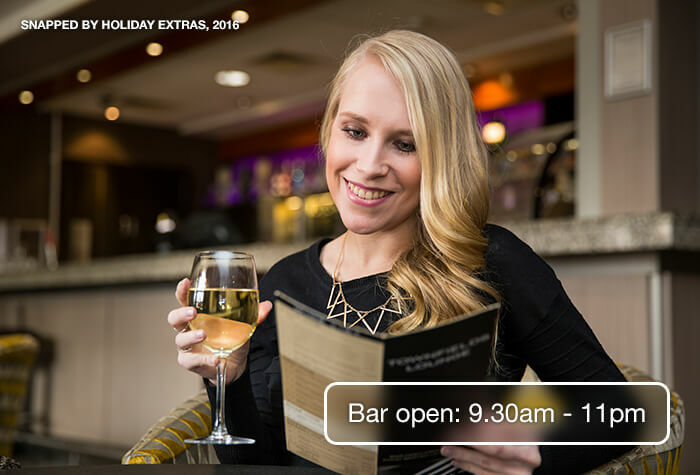 From the tasty dishes on offer at Dettori's restaurant to the blissful spa, the hotel has everything you need to get your holiday started. The WiFi is complimentary and you even get a 10% discount on treatments at the spa for booking through us... enjoy your night at the airport, but keep your cash for your holiday. The overnight hotel and taxi transfer to the airport went very well. But coming home was a nightmare. I rang as requested and was told to go to Level D of Manchester Airport. That was on the top floor of the multi storey car park. I waited 20 minutes then got a call from the taxi driver asking where I was. After another 10 mins he finally found me. There were others there also wondering why the pick up was at the top of a car park!! Including our driver !!. The process needs to be easier and clearer. Everything was exactly as described, directions take you straight there, we arrived late at night and had no issues checking in. Staff were so helpful and couldn't do enough to help. We left our car for 2 weeks while on holiday and found no problems when we got back. Will defiantly stay here again. Cresta Court hotel was really nice and the food in the restaurant was excellent. Bed could have been a bit more comfortable, but we had an early start so were not in it very long! Hotel a little bit tired, staff very good. Problem with return taxi partly of our own making. This was sorted within by hotel within 24hrs of reporting problem. It seems taxi company need keeping an eye on. Our customers rated Cresta Court on average 9/10 (672 reviews). Read Cresta Court reviews. The hotel can book you a taxi to the airport, which will cost around £12 for a standard 4-seater car and takes around 15 minutes. Overnight parking is available at the hotel, and is included in the price. The hotels car park is secured by CCTV. 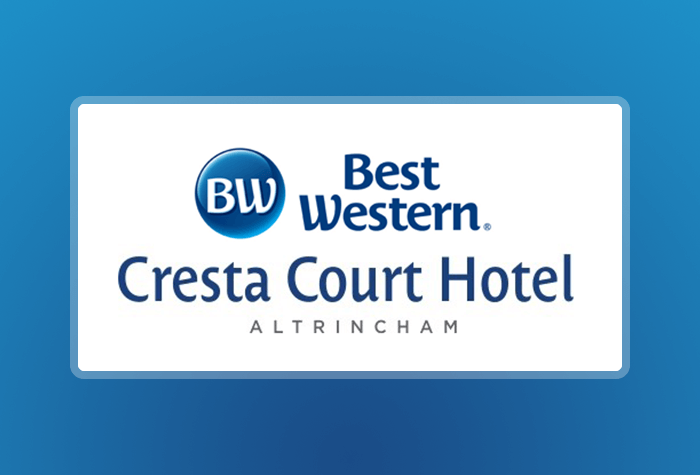 The hotel is in the market town of Altrincham, less than 5 miles from Manchester airport. Travelling by train? The hotel is a 5 minute walk from Altrincham Metrolink station. A standard taxi to the hotel from the station will cost around £5. Guests say rooms are small, but comfortable and well-equipped. 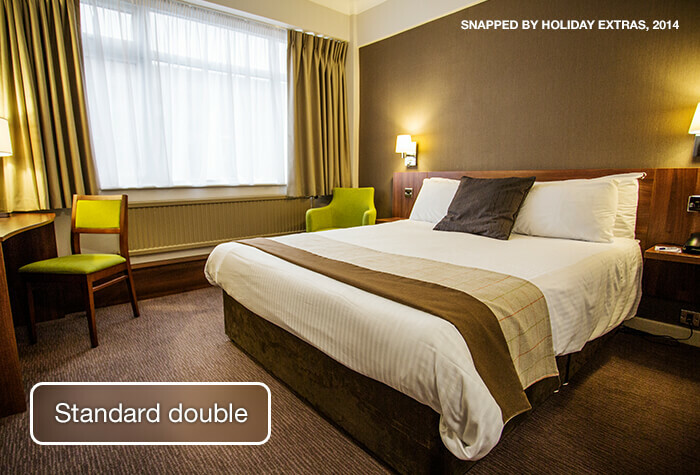 You can upgrade to an executive room for an additional £20. Request this when you check in to receive a newspaper of your choice in your room, dressing robe and slippers and a larger bed. Wifi is free in all public areas and all bedrooms. Guests say its easy to access and a good speed. The rest of the hotel is accessible by: Ramps, accessible lifts, accessible toilets on the ground floor, guide dogs accepted, hearing loops. If you would like to request an accessible access room please call us before booking. Townfields restaurant serves a range of dishes from burgers, to pasta, to a wide selection of grill options. The restaurant offers gluten and dairy free, as well as vegan dishes. Theres also a separate kids menu. 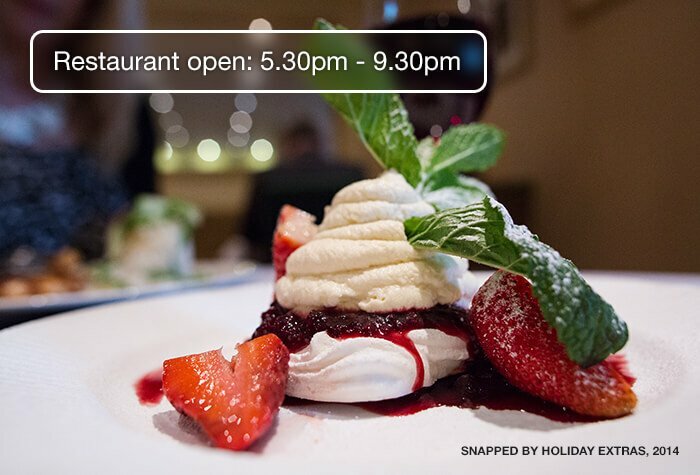 The restaurant receives great reviews, particularly for the tastiness of its dishes, with many guests saying it is the highlight of their stay. An average main will cost you £15. Open: 5.30pm - 9.30pm daily. Townfields Lounge has a modern theme and guests say it is comfortable and relaxing, with plenty of seating areas. The bar has its own menu. 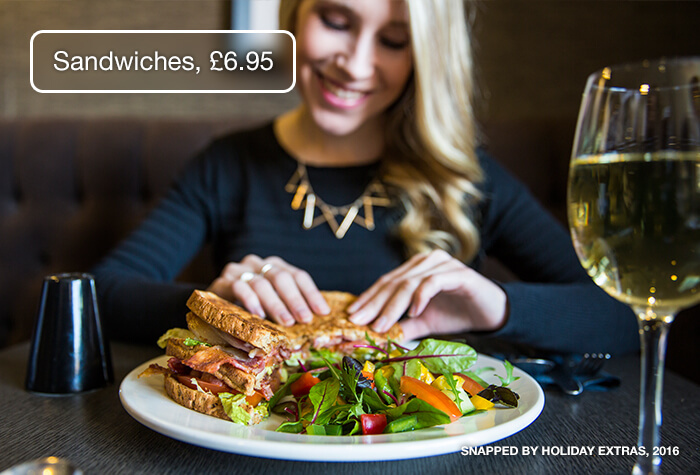 It is limited, but offers choices such as sandwiches, soup and salad. An average main will cost £8.95. Open: 9.30am - 11.00pm daily. A full English and continental buffet is served in Townfields restaurant where you can eat as much as you like. There are a lot of options to choose from, from freshly baked croissants and pastries to sausages and bacon, with eggs even made to order. 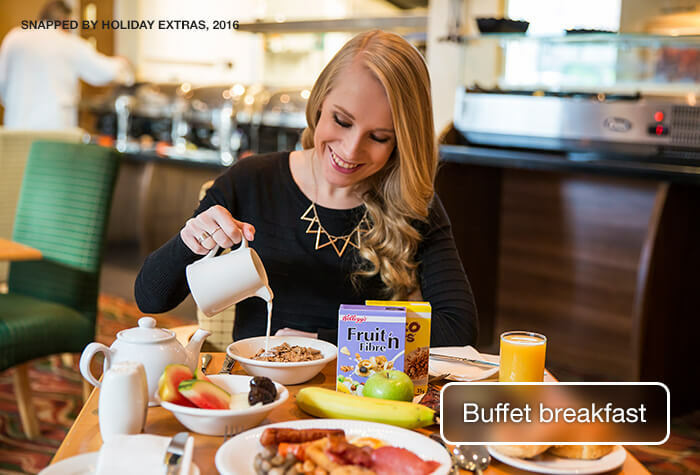 You can save £2.50 by booking breakfast through us. It is £10 per person on the next page, or £12.50 if you buy it on the day at the hotel. Children under 16 years old eat breakfast for free with a paying adult. If youre leaving too early for breakfast you can order a continental breakfast to take away. 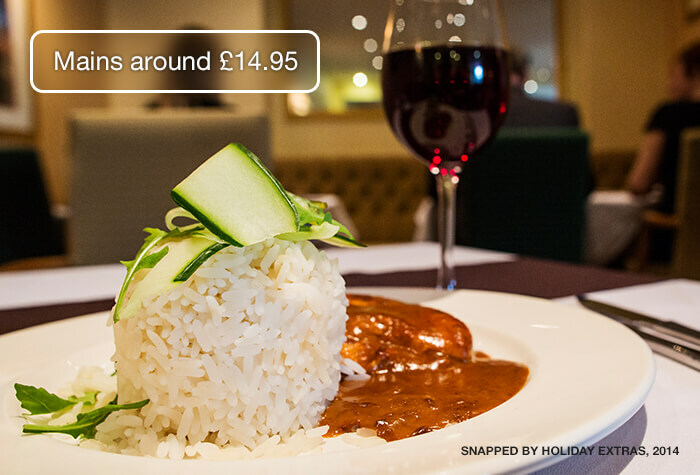 This is available from 5.30am and is £8.95 per person - just book it with reception when you check in. Oasis beauty salon is on the first floor of the hotel. The salon offers massages, facials, manicures and pedicures, at an additional cost. Prices correct as of January 2017. Disabled facilities There are two rooms suitable for travellers with less mobility at this hotel. Make your way to the hotel - detailed driving directions and a postcode for satnavs will be on your booking confirmation email. Overnight parking is available at the hotel, which is included in the price. The hotel reception can book a taxi to the airport for you, 24 hours a day. The journey takes less than 15 minutes to all of the terminals and costs roughly £12 for a standard 4-seater car. Drive to the Cresta Court - your confirmation email will include driving directions and a postcode for satnavs. Overnight parking is included in the price. In the morning drive to JetParks 1 - its about 12 minutes from the hotel. Directions will be on your confirmation email. Collect a token at the barrier, park anywhere in the car park and keep your keys. Take the 24-hour shuttle to the terminal. Its included in the price. Its under 12 minutes to all terminals. On the day of your flight drive to the terminal and follow signs for Meet & Greet. When you get to the car park head to the reception area and hand over your keys. Your car will be parked for you while you walk to check-in, around 3 minutes away. When you return walk back to the Meet & Greet cabin and hand your receipt to a member of the team. Your key will be returned and your car will be waiting in one of the Meet & Greet car parking bays. Overnight parking at the hotel in included. When you return head to the Terminal 2 reception and hand your receipt to a member of the team. Your key will be returned and you'll be told where your car is parked. On the day of your flight drive to the terminal and follow signs for Meet & Greet. When you get to the car park head to the reception area and hand over your keys. Your car will be parked for you while you walk to check-in, just across the road. When you return walk back to the Meet & Greet reception and hand your receipt to a member of the team. Your key will be returned and your car will be waiting in one of the Meet & Greet car parking bays.